What would you do if you found your car damaged due to a fellow road user's inability to park their vehicle? Some motorists choose to park their vehicles far away from others, hoping to avoid damage to their prized possession. Unnecessary precaution? Perhaps not when there are drivers like the one featured in this video lurking in car parks at shopping malls. A female driver, behind the wheel of a Ford Focus, was captured on film, damaging another vehicle while attempting to reverse out of a bay. A driver captured the destruction on camera, adding some rather colourful commentary (read: NSFW language). 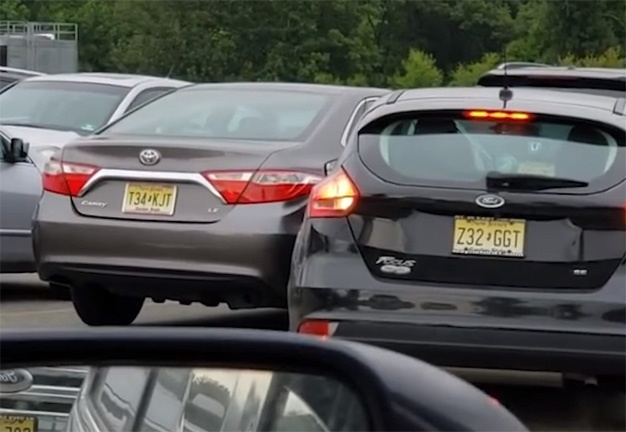 What's disturbing is that the driver of the black Focus hit a silver Toyota Camry alongside it not once, but four times. She can be seen attempting to fit a damaged hubcap back in place and wiping scratched paint off by hand. To add insult to injury, the driver retrieves what appears to be tissue paper and a bottle of water in an attempt to clean the mess she made of the Toyota - as if it would magically wipe out the dents and scratches. The Focus driver eventually manages to get out of the parking space and drives off without even leaving a note.